It's no secret that BioWare is working on a new Dragon Age game, but the developer has just made its first official announcement about the title, providing a few vague details about its features. Mark Darrah, executive producer of the Dragon Age franchise, revealed today that the third entry, now known as Dragon Age III: Inquisition, has been in production for about two years (since before the launch of last March's sequel). Dragon Age II was widely criticized for lacking depth and polish. Many felt that its story and characters were shallow, that the combat had been needlessly simplified from Dragon Age: Origins, and perhaps most damningly, that the quests and environments were repetitive, with a handful of instances being recycled many times throughout the game. Fortunately for Dragon Age fans, it seems BioWare has taken that feedback to heart. "We've visited message boards, read reviews, and we've gone to events to have direct face to face conversations with some of our most passionate fans. We've been listening, and we will continue to listen," Darrah said. He reassured gamers that Inquisition is in good hands, citing his professional background with Baldur's Gate and Dragon Age: Origins as well as personal interests in D&D and pen and paper games. Darrah said Inquisition's team consists of many BioWare veterans who worked on Origins as well as some of the company's fresh talent. He said the upcoming entry features a new Frostbite 2-based engine that will facilitate a more expansive world, better visuals, more meaningful player choices, improved tactical combat and greater customization. In other words, it'll expand on everything fans loved about the first Dragon Age. Unfortunately, Darah didn't elaborate, saying that additional details would have to wait until the time is right. For whatever it's worth, in a Wired interview last December, BioWare CEO Ray Muzyka said the third Dragon Age title would have more of an open world feel, not unlike The Elder Scrolls V: Skyrim, which Muzyka said BioWare had been "checking out aggressively." "We're big admirers of [Bethesda] and the product," he said. Other employees have also provided a few nuggets over the last year. At PAX 2011, Dragon Age II lead designer Mike Laidlaw said Dragon Age III would once again be set in the world of Ferelden and would focus on a war between the mages and templars, continuing the main plot of last year's sequel. Players will be able to import data from the previous games and will presumably be responsible for saving the world from civil war. Hawke, Dragon Age II's protagonist is expected to appear in the new title, but to what extent is unclear. 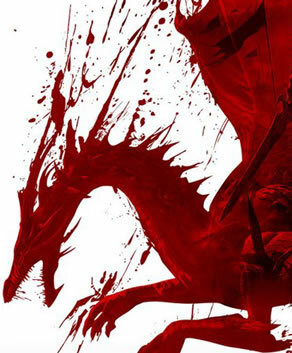 Dragon Age III: Inquisition is due at the end of 2013, though a specific date isn't set. BioWare also hasn't confirmed what platforms the title will appear on. PC is a given, but some believe the developer's unwillingness to mention the Xbox 360 and PlayStation 3 indicates that Inquisition will be a launch title for next-generation consoles.